Volkswagen redefines what a wagon can be with the 2017 VW Golf SportWagen. This versatile vehicle offers the room and comfort of an SUV with the agile handling of a compact car. And with impressive fuel efficiency, you don’t have to worry about how far you go – just how much fun you have getting there. 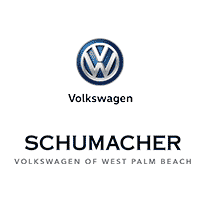 Get behind the wheel of the new VW Golf SportWagen and experience all that West Palm Beach, Florida, has to offer. Why the 2017 Golf SportWagen?